Everyone hates insurance, that's why we created Social Insurance. 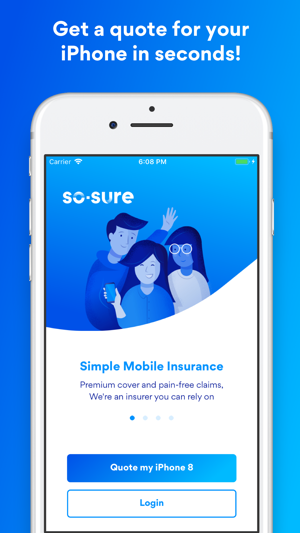 Starting with mobile phones, we've redesigned insurance to not only be better, but also up to 80% cheaper when you connect with friends and don't claim. We're committed to making it as easy as possible for you to get your phone insured, connect with your friends, make a claim and, when you don't, get money back. 1. Get your phone insured - for a small monthly fee, you're covered for theft, loss, accidental damage, accessories and unauthorised usage. Exclusions & excesses to your cover still apply, so be sure to read your policy. 2. Invite your friends - for every friend you invite that also signs up we'll add up to £10 to both of your Reward Pots. If none of you claim, you all get whatever is in your Reward Pots back at the end of the year. 3. Need to make a claim? - no problem, just give our UK based claims team a call anytime and once approved we'll aim to get a replacement phone to you the next working day. so-sure is an appointed representative of AFL Insurance Brokers Limited which is authorised and regulated by the Financial Conduct Authority. Our firm's Registration Number is 744729. We are permitted to arrange, deal as an agent of insurers and clients, and assist in claims handling. We are always making changes and improvements to the so-sure app as often as possible to make it faster, more secure and more reliable for you, so make sure you always keep the app updated. This update resolves an issue with purchasing a policy. 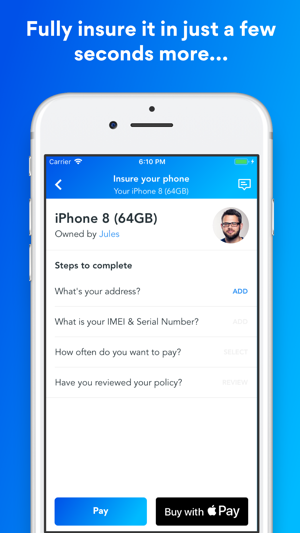 Cheaper & better mobile insurance! App very easy to use, got my quote in seconds. Cheaper than I've been quoted elsewhere & cover more comprehensive. AND I get money back if I don't claim. Will recommend to friends, so we can all share in money-back rewards. 5 stars from me! 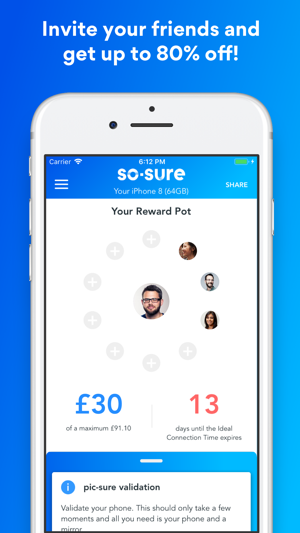 Really impressed by the level of customer service - had some trouble installing the app, but the so-sure team were very responsive. Hope I never have to use it so I can get cash back!